In an adult human individual, axons can reach the remarkable length of 1 meter and contain more than 99% of the cell cytoplasm. Survival of axons depends on efficient trafficking of organelles, cytoskeletal components, and lipid constituents synthesized in the cell body. 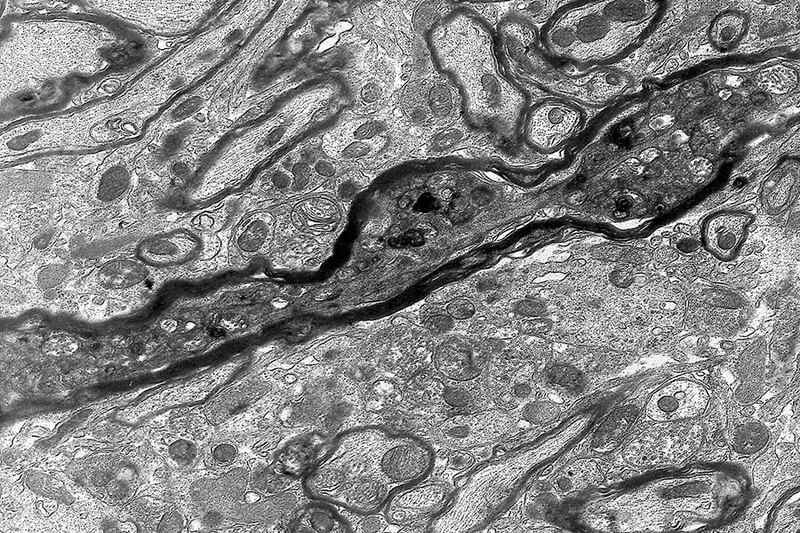 The goal of our research is to understand the pathogenic mechanisms underlying axonal degeneration, a chronic process that plays an important role in several neurodegenerative diseases. To this end, we study the functions of genes involved in hereditary spastic paraplegia (HSP), an adult-onset genetic disorder, characterized by progressive weakness and spasticity of the lower limbs and due to the retrograde degeneration of the longest axons of the central nervous system, those composing the corticospinal tracts. We combine cell biological approaches and the development of animal models to study the functions of different HSP genes involved in mitochondrial quality control, microtubule dynamics, and lipid metabolism. Our aim is to shed light on the pathogenesis of HSP and identify common disrupted pathways amenable of therapy. Papadopoulos C, Orso G, Mancuso G, Herholz M, Gumeni S, Tadepalle N, Jungst C, Tzschichholz A, Schauss A, Honing S, Trifunovic A, Daga A, and Rugarli EI (2015). Spastin binds to lipid droplets and affects lipid metabolism. PLoS Genet 11, e1005149.